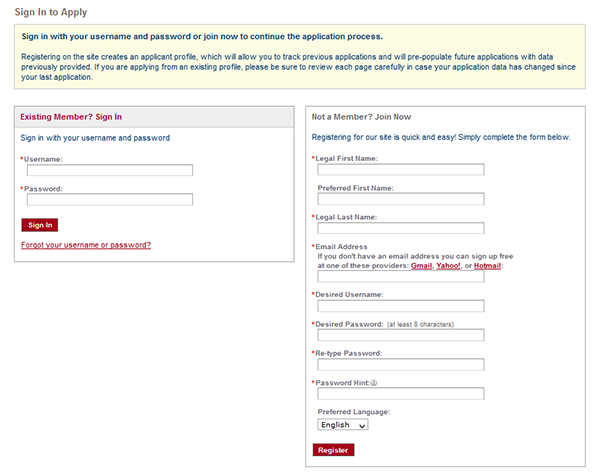 Use the instructions on this page to learn how to fill out and submit the Peebles job application online. 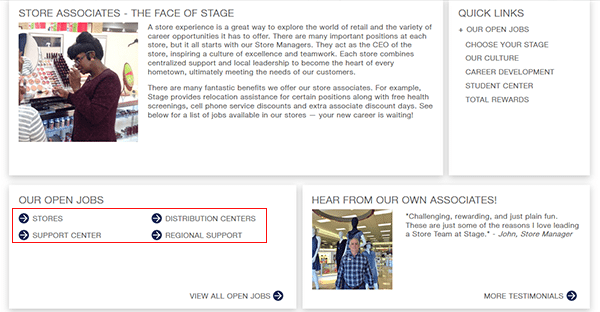 Numerous types of careers can be searched and applied for online including in-store, distribution, support center, as well as regional support positions. Although some stores may accept applications in person, it’s recommended to fill out and submit the online version. 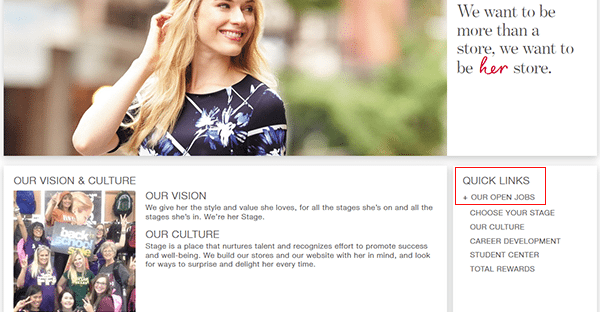 About the Company: Peebles is an American chain of department stores owned/operated by Stage Stores. The company has numerous locations throughout the Eastern and Midwestern regions of the United States. Step 2 – Press the “Our Open Jobs” link, and then select which type of position you want to search for (i.e. store, distribution, support). 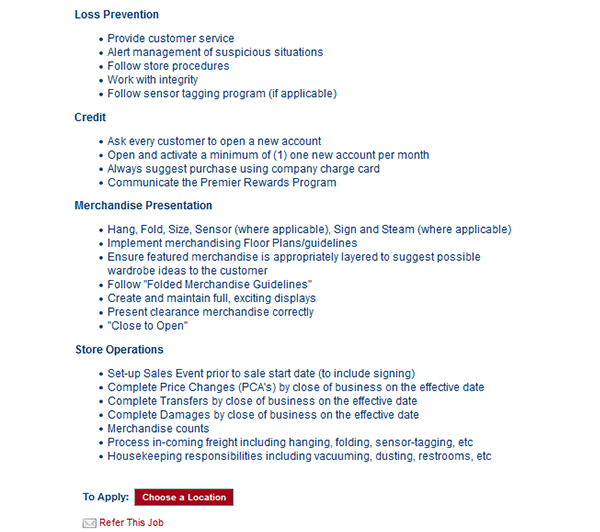 Note: These instructions provide an overview of the online application process for in-store positions. Step 3 – Scroll down the page and then click the “Stores” link. Step 4 – Select the position type you want to submit an application for (or click the “View All Open Jobs” link to view the main listing of openings). Step 5 – Scroll down the page and press the “Choose a Location” button. Step 6 – Find a location by selecting a state/city from the drop-down lists (or by entering in your zip code). 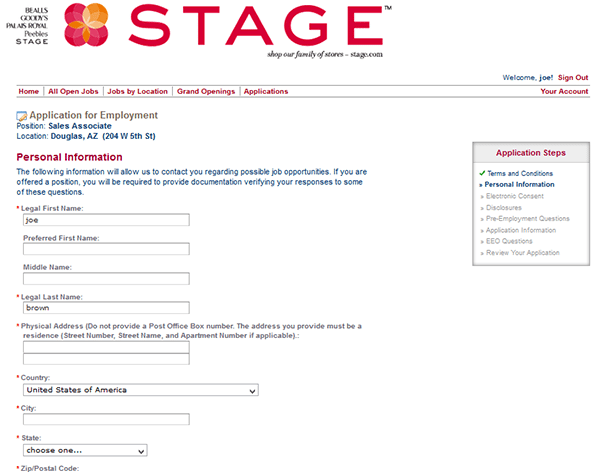 Step 8 – Hit the “Register” button to go to the next step of the process.